There’s something fascinating about how much things cost. Whether it’s the latest phone or tablet, or in this case something much less obtainable, we just have this desire to know how much things are worth. Money’s a hard thing to come by, so a huge price tag always begs the question: is it really worth it? I’ll take a look at the 10 most expensive attractions ever built and give my verdict of whether they’re worthwhile investments. Steel Dragon 2000 is, simply put, the biggest roller coaster in the world. It’s the tallest and fastest coaster with a lift hill (there are others which use powerful launches to accelerate the train quickly; but those which are faster are either short in length and tall, or short in height and long) and it’s also the longest roller coaster in the world at 8133ft. As a comparison, Colossus (Thorpe Park), which is a very decent length ride, is 2788ft long. This thing is big; even with no complex electronics or launch system and no theming it still comes out as the most expensive roller coaster (just the ride, no theming) ever built. What really boosted the price is the fact that due to Japanese safety regulations the ride had to be earthquake proofed and therefore has an incredibly dense steel structure. Is it worth it? It’s not very highly regarded, despite its size it doesn’t produce much negative g-force, and because of it it’s quite rough. However it is probably the most ridiculous stand alone roller coaster in the world, and since the park is the 4th most visited non Disney or Universal park in the world with 5.9 million guests last year, I think we can say: Yes. Ok, so the 9th, 8th and 7th places on this list all cost the same, but I’ve split them up into sensible groups. Everest is the highest placing roller coaster on the list (roller coasters aren’t particularly complex electronically unlike the higher placing dark rides), and it’s the most visually stunning roller coaster in the world. 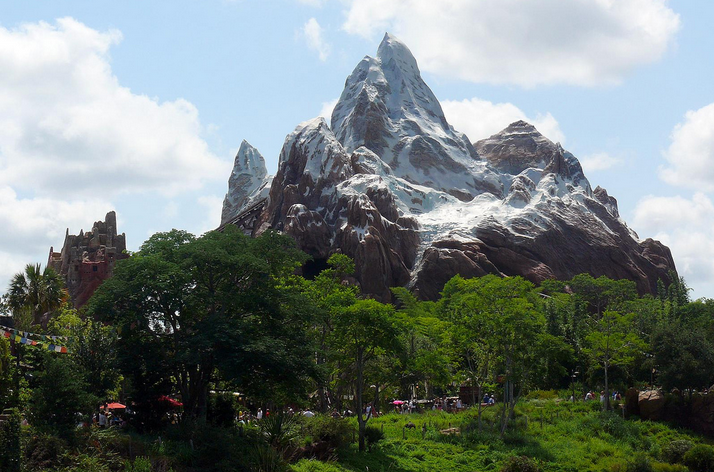 As with many Disney attractions, Everest is themed around a mountain, and this mountain is 200ft tall. The mountain isn’t Everest itself, it’s known as the Forbidden Mountain; on your expedition to Everest you get waylaid by the mysterious yeti. The roller coaster track itself would probably have cost $20 million alone; it’s 4424ft long and has a complicated reversing section, but the ridiculous theming is what pushes the price up so considerably. As well as the huge mountain facade there is a treasure-filled temple, in the queue a monastery, a Yeti museum and the expedition cabins and inside the mountain an extravagant Yeti animatronic (which is so advanced it spends most of its time being repaired). Is it worth it? Yes. Disney rides are never the most thrilling, but this is one of the most impressive, beautiful and enjoyable rides in the world. It’s just plain fun. When Islands of Adventure, Universal Florida’s second park, opened in 1999 it was met with rave reviews. They had two huge steel roller coasters, three of the best water rides in the world and some spectacular shows. But the flagship attraction was a completely new concept; The Amazing Adventures of Spiderman. The ride is a hybrid simulator and roving dark ride; passengers travel on a flat track in a car that can tilt in all four directions, slide in all four directions on its chassis and spin 360 degrees. You interact with massive 3D screens; they are so big it genuinely feels like you are inside them. The screens merge seamlessly with the physical surroundings; for example at one point Green Goblin throws a pumpkin bomb at a building near you and as it explodes a real jet of fire shoots out of the building. 11 years later, with the opening of their Singapore park, Universal unveiled an updated version of the ride system. This one, themed to Transformers, uses higher quality HD 3D and also has two levels; there are two vertical lifts (one up, one down) but the ride is so immersive you cannot tell when the movement is simulated and when it’s real. Is it worth it? Definitely. 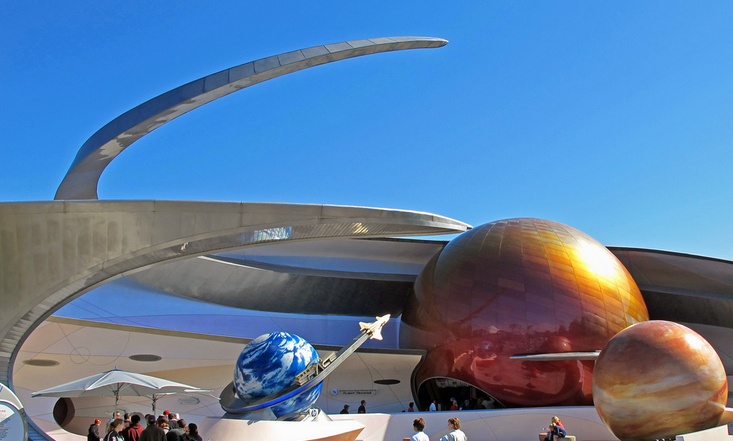 In some of the world’s greatest theme parks these rides stand out as the very best. Whether you love the big thrills, or prefer to carry the bags, Spiderman and Transformers are suitable for everyone. Supposedly the most realistic space simulator in the world, I personally don’t think much of this ride. It’s well themed and integrated into its surroundings, but there is really nothing to it. The idea is that you are on a 4 man mission to Mars in the year 2036, each of you taking on a certain role (navigator, pilot, commander and engineer). You are supposed to complete a rudimentary mission on the screen in front of you, but it doesn’t matter if you don’t, the computer will complete it for you. The ‘thrill’ element of the ride is that it is a centrifuge; it induces a g-force of 2.5 during the launch by spinning you around. The ride is known for being very intense, so intense that two people have sadly died on it (they both had underlying heart conditions) and Disney had to rebuild half of it without the centrifuge so you can choose between an intense or a mild experience. But despite choosing the intense version I couldn’t really feel anything and was left disappointed. Is it worth it? No. Epcot is desperately short on rides and this one is weak to say the least. This stunning water ride is one of personal favourite attractions. As soon as Universal Creative (praise them) saw the immense success of Jurassic Park in 1993 they got straight to designing an attraction to cash in on it. The ride combines a gentle water ride section, with huge animatronic peaceful dinosaurs surrounding you in the water, with an intense finale; an 86ft plummet out of the Environmental Systems Building whilst being attacked by a tyrannosaurus. The huge final drop held the record for the largest drop on a water ride for some time, and it remains one of the most intense water rides around. Islands of Adventure debuted with a clone of the ride in 1999. Is it worth it? Yes. 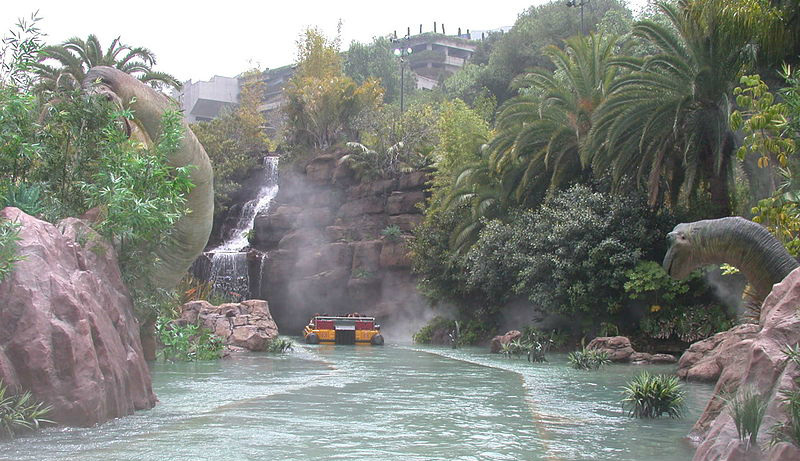 Jurassic Park turned Universal from a solid theme park into a real Disney rival; it was a step up from Splash Mountain, Disney’s well themed water ride franchise, and paved the way for even more impressive aqua attractions in the following century. That’s all for now, the conclusion of the list will come out in the next few days. Until then!